In this post, we will see how to add REST controller to Spring Boot Application. First you can create the Spring Boot Applicatin using Netbean IDE. 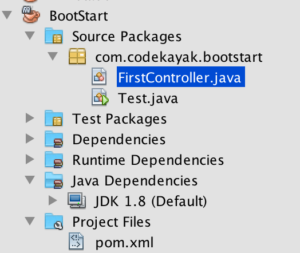 You can create the Java class FirstController in your Source Packages folder of the Netbeans IDE. Now you can build and run the application.